Miro Uskokovic, the much loved by all executive pastry chef of Gramercy Tavern, once again gave our baking community of pastry and food writing individuals a wonderful afternoon to connect and share our love of pastry and people. As we walked into the special events room, where we had enjoyed judging Gramercy’s Thanksgiving employee pie contest just a few months ago, we were greeted by Miro and glasses of excellent Billecart Salmon champagne and tables of crafted pastry creations by this year’s talented pastry chefs. We all indulged in pastries byThea Habjanic from La Sirena Restorate, Justine MacNeil from the Del Posto, Laura Martelli and Matthew Rosenzweig from The Flaky Tart, and Dan Alva from Union Square Café. Our favorite indulgence was The Flaky Tart’s Lemon Meringue tartlets, several of which made their way home with usSavory appetizers were served as well. One in particular was this mini hotdog. Miro adapted the bun from a recipe which I shared with him some months ago from our upcoming book! This year topped last year’s event with many new guests, including friends of mine I rarely get to see, which gave us a great chance to catch up with each other. Emily Luchetti happened to be visiting from the west coast and Tyler Atwel is back in New York full time at Lafayette Grand Café. 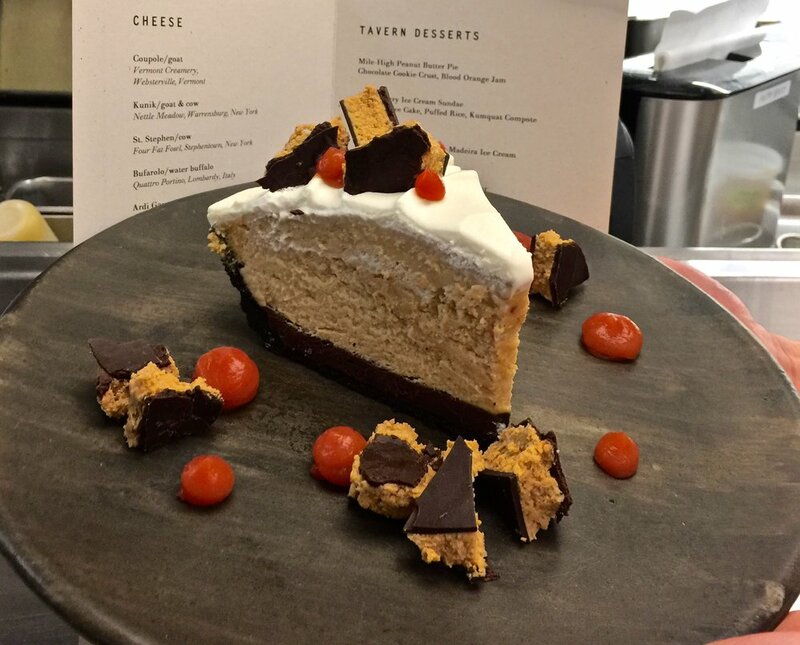 We were delighted to take home a piece of Mile High Peanut Butter Pie-- last year’s Thanksgiving Pie Contest winning pie, which is currently listed right at the top on Gramercy Tavern’s dessert menu.